grassy bank left and back, the right side being the natural slope is protected by a greenside bunker. 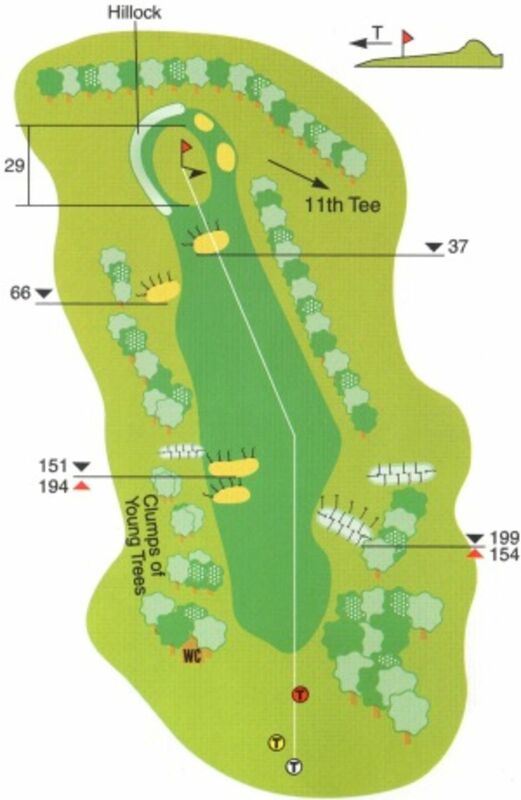 One of the largest greens on the course with a number of potentially very difficult pin positions. Easy to three putt this green.